Finally a simple, modular, and rugged all terrain staging system. We’ll make it easy on you- contact us for help with staging design, pricing, and delivery of product. You can also use their Stage Builder to design your custom stage, and then we’ll provide you a quote from the results. Either way, we’ll make sure you get the stage you need and that you get it in time for your production events! The revolutionary new All Terrain Staging can do just about anything and just about anywhere! All Terrain Staging by Intellistage™ goes where no stage has gone before! Use it outdoors, at the beach, on a sloped hill or just about anywhere you can imagine! • Each stage is height adjustable from 24, 32, 40 and 48″ heights. • Available in both weather resistant and waterproof finishes. • Features All Terrain design that can easily be set-up on uneven ground (each stage leg adjusts independently). • Lightweight, durable and rugged aluminum construction. • Fast and easy assembly and disassembly. 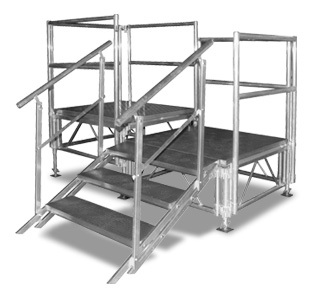 • Modular design (stage platforms come in 4’x4′ sections) allows stage to be expanded or configured as needed. • Stairs, guardrails and skirting are available. • Can be configured in various heights and configurations to form chair risers and choral risers. What platform finishes are available? All Terrain platforms are available in 4’x4’ in the US. 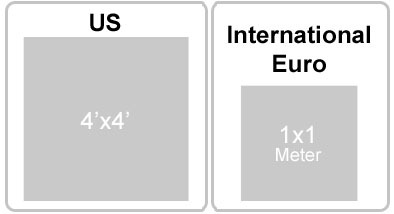 All Terrain platforms are available in 1×1 Mtr internationally and in Europe (please consult your local dealer). How much weight is an All Terrain platform capable of supporting? All Terrain platforms are capable of supporting 260 lbs per sq. foot (1270 KGS/sq. Meter). How tall can an All Terrain stage be setup? All Terrain stages can be setup to the following heights 24, 32, 40 and 48” (60, 80, 100,120cm). 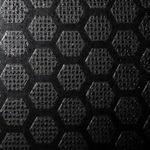 In most cases steps will be required because the minimum height of the stage is 24” (60cm). 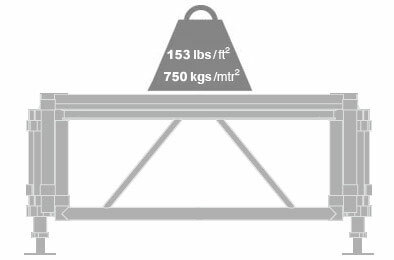 Step packages with and without guardrails are available for various height stage configurations. 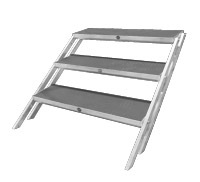 24-32” (60-80cm) high stages require 3 step stair packages. 40-48” (100-120cm) high stages require 5 step stair packages. Can an All Terrain system be setup on uneven ground? 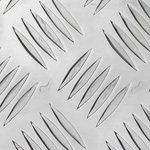 All Terrain stage systems are specially designed to handle uneven ground conditions. The stage system has height adjustable legs set to fixed distances 24, 32, 40, 48” (60, 80, 100, 120cm) as well as a screw base that allows for continuous adjustment in between these height increments. Can an All Terrain system be setup on grass/dirt? All Terrain spikes can be added to the bases of the All Terrain stage system to provide add grip on dirt and grass surfaces. Can an All Terrain system be setup indoors? 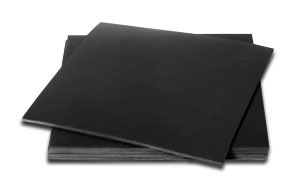 All Terrain can be setup indoors, but we recommend using our All Terrain rubber mat to protect your floor surface and to provide extra grip to for the All Terrain system. Platforms are held in place by the stage side panels. When four side panels are oriented into a square the top edge creates a channel that the platforms sit within. This makes assembly of a basic stage fast, easy and nearly tool-less. Can All Terrain stages be setup with multiple levels? Yes, All Terrain stages can be setup with multiple levels using special hardware. Increments between levels are fixed to 8” (20cm).